Due to the foresight and efforts of Ted Childress and Norman Savelle, Field Scout Executives of the Gulf Coast Council, a chief and eleven braves from the Alibamu Lodge #179, Tukabatchee Area Council of Montgomery, Alabama came to the Gulf Coast Council's Camp Big Heart on May 21-22, 1948 to organize a local Order of the Arrow lodge. While here, they bestowed upon 24 Scouts and Scouters the title of Honor Camper and member of the Order of the Arrow. The charter members of Yustaga Lodge were: Thurston A. Shell, Jack Shreve, Fred Polhemus, Glen Ivey, Ray Kelly, Wallace King, Bo Sharpless, Bill Stewart, Oswald Geiger, Cecil Sewell, Ed Nowak, DeWitt Thompson, Albert Pledger, Lamar Henderson, Tiller Phillips, Charles Dial, Captain Wayne Sage, Robert Smith, Ed Crowe, Melvin Hatcher, Harry Sampley, Cdr. H.M. McDowell, Norman Savelle, and Ted Childress. At a lodge meeting on May 22, 1948 the first lodge officers were elected. They were: Chief: Thurston A. Shell, Scribe: Bo Sharpless, and Treasurer: Albert Pledger. The first Order of the Arrow business meeting was called to order by Netami Sakima (Chief) T.A. Shell at Camp Big Heart on September 11, 1948. The first item of business was to select a lodge name. The name, Yustaga, was chosen and was unanimously accepted by the lodge. 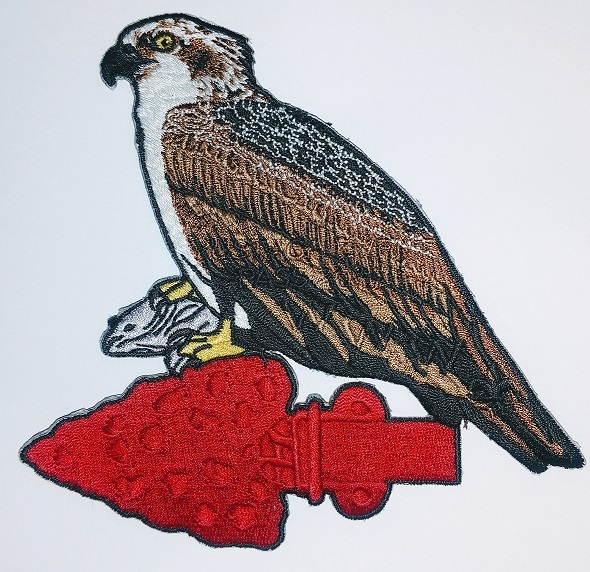 The Osprey (fish hawk) was selected as lodge totem, and green and white as the lodge colors (this was later changed to gold and white). The name Yustaga comes from a small Florida tribe that was a part of the Creek nation. Translated, the words mean "Drinkers of the Fire Water." The first area conference was held in 1952. Yustaga hosted the V-A conference in 1953 at the Naval Air Station in Pensacola. The lodge's first Vigil Honor member was inducted there: Richard Ploss was named, "HUN DA YE'LI" (White Quiver). The same year Yustaga held its Fellowship at Camp Big Heart on December 4. The lodge bulletin, the "Osprey", was first published in 1957 as a quarterly newsletter. The first lodge banquet was hosted by Perdido Bay chapter on May 16, 1957. The first Spring Fellowship was held at Camp Robbins, April 11-12, 1958. In 1959, Yustaga donated a chrome plated engraved axe to the area to originate the "Mr. Friendly Axe" award. Fred Nowak of Yustaga became V-A's area chief for 1960. Yustaga hosted the 1962 V-A Conference for the first time at the newly opened Camp Euchee. Since 1964, the area has been changed from V-A to V-E. The area was composed of six lodges covering most of Alabama and Northwest Florida. Conferences are held yearly, usually in April, and are hosted by different lodges on a rotation basis. Yustaga has a reputation for exceptionally good conferences. In 1963, Yustaga Lodge won first place at the Campfire Fair at the National OA Conference with "Survival in Nylon." In 1968, the lodge again hosted the V-E Conference at Camp Euchee and won the award for being the outstanding lodge of the area. This award was again won in 1969. On May 23, 1970, the lodge building "Henson Hall" was dedicated in memory of Herb Henson, Jr., who had lost his life in a tragic car wreck. Yustaga was awarded the E. Urner Goodman Camping Award, one of two in the Southeast region and one of twelve nationally. Yustaga hosted the 1976 Section 6 Conference at Camp Euchee that was noted as exceptionally outstanding. In 1982, Yustaga Lodge was transferred back to SE-3 and won the "Mr. Friendly Axe" award at the Sectional Conference. In 1983, our past Lodge Chief, Kit Outlaw, became the first Yustaga Lodge member to become an officer of our new section. He was elected as the Vice-Chief of SE-3. The 1983 Section Conference was held at Camp Euchee. In 1984, a new chapter, Osceola, was brought into our lodge. The reason for the new chapter was the splitting of the old Esca-Rosa district, which created the new Five Flags and Blackwater districts. In 1989, Scott Broughton was elected SE-3 Section Chief. In 1991, Yustaga Lodge hosted the Section Conclave at Camp Euchee. 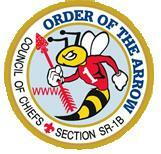 Lodge Chief Chad Hartley was elected Section Secretary. In 1993, the first SR-8 Conclave was held at Camp Alaflo in Enterprise, Alabama. Yustaga was named Best All-Around Lodge at the Conclave. In 1996, Yustaga's NOAC contingent was awarded First Place for Authenticity, Third Place Overall in Dance, and National Honor Recognition in Ceremony. Awarded at conclave: 1996 Section Dance Champions, Section 1st Place Allowat Sakima, 1st Place Kichkinet. In 1997, Yustaga was awarded Section Dance Champions again at Conclave, as well at 1st place Meteu, and 3rd place Pre-Ordeal ceremony. In 1998, Yustaga received 3rd place for dance nationally at NOAC, as well as one National Honor Team for Pre-Ordeal ceremony, and one Merit Team for Pre-Ordeal ceremony. At Conclave, awards included Section Dance Champions and First place Pre-Ordeal Ceremony. In 1999, Yustaga received 1st place Dance, 2nd place Drum and Song, 3rd in Pre-Ordeal, 1st in Brotherhood, Best Meteu, and Best Overall Lodge. Yustaga also sent a 4 member contingent to the first ever National Leadership Summit which was held in Ft. Collins, Colorado. In 2000, Yustaga received 1st place Dance, 1st place Pre-Ordeal, 1st place Publications and... A 16 member contingent also showed for Yustaga at the National Conference, held at the University of Tennessee, in Knoxville. While there, the Pre-Ordeal team was awarded National Honor Team Status. For the year of 2001, Yustaga placed 2nd in the section for their Dance Team, 3rd for the Pre-Ordeal Team, and received Best Nutiket for Robbie Newton. In 2002, Steven Henry was elected Section SR-4N Vice Cheif. Sent a contingent to NOAC at Indiana University, where we placed 8th in the soccer and made a strong showing in Jenga. In 2003, Yustaga hosted the first Green Bar JLT for the council, that became an annual event. Steven Henry was elected Section Chief. Swept pre-ordeal ceremony competition at conclave, taking 1st and 2nd place as well as all individual character awards. David Dowty, former Yustaga member, was elected National Vice Chief. Steven Henry elected CVC (Conference Vice Chief) for TOAP (The Outdoor Adventure Place). Tre Hellwig and Wade Hartley named best youth and adult trainers at Conclave. 2004, more than 200 attended Green Bar. At conclave, won 1st place in soccer and horseshoes, 2nd place in ordeal, and 3rd place in pre-ordeal and North Cup. Best Nutiket and Allowat in pre-ordeal. Charles Bellinghausen elected section vice-chief. Sent a contingent of 17 and 4 staff to NOAC. Pre-ordeal team was awarded honor team and honor regalia at NOAC. In 2005, over 300 attended Green Bar with the addition of merit badges. Conclave was hosted by Alibamu because of damage to Camp Maubila from Hurricane Ivan. Won 1st place in pre-ordeal ceremony, ultimate, and 2nd place in North Cup. Several members served on staff at National Jamboree. 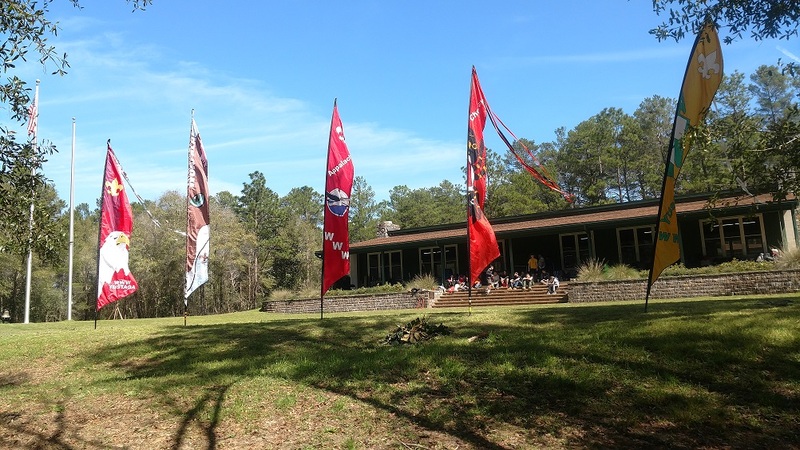 In 2007, Conclave was held at Camp Tolochee in Brunswick, GA. Named best all around lodge. 1st place awards- North Cup, publications, Jeopardy, and pre-ordeal ceremony. 2nd place in overall Quest, and 3rd place in volleyball and tug of war. Michael Kirkland, Geoffrey Helms, Chance Winn, and Chandler Young each won best principle for the pre-ordeal ceremony. Sent 7 to National Conservation and Leadership Summitt at Indiana University. Shirley McElroy named best adult trainer at conclave. 2008, Best all around lodge at conclave, and 1st place in North Cup. Chandler Young elected Section Chief when Mark Norris had to stepped down after being elected region chief. Sent a contingent to Arrowcorp5 at Bridger Teton National Forest. Wade Hartley was selected to be SR1-B Associate Adviser. 2009- Hosted 1st ever SR1-B Conclave at STSR. Bryce Segler served as conclave chair, Sam Ammons as webmaster, and Wade Hartley, Michael Kirkland, Steven Henry served as advisers for conclave. Bill Payne was best adult trainer. Best all around lodge. Pre-ordeal ceremony team won 1st place, and brotherhood ceremony place 3rd. Will Yanni, Chandler Young, Bryce Segler, and Zach Kuhl took individual top honors. Lodge place 2nd in overall quest events. Sam Ammons was elected section secretary.